When we think of dangerous drugs, it is narcotics like heroin or cocaine or other illicit substances which spring most readily to mind. But there are two other perfectly legal addictive substances which generate large amounts of money for the Treasury which are equally dangerous - cigarettes and alcohol. While the effort to get people to stub out cigarettes is being won to an extent, through a combination of constantly rising prices, extensive education programmes and new, anonymous packaging, the problem of alcohol is reaching new levels in Northern Ireland. There has been a 40% increase in the number of deaths due to alcohol-related problems in the province since 2001, according to a report just issued by the Office of National Statistics, the highest proportionate rise of any region in the UK. Quite why there has been such a dramatic increase is not explained, but there are some obvious factors. There is always the suspicion of a Troubles-related cause attached to such issues. 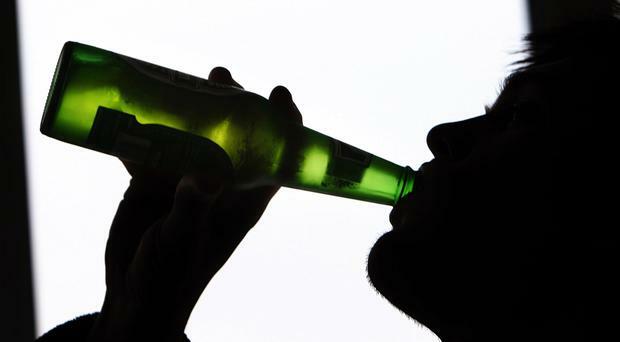 Drink is a relatively slow killer and it may be that some people bereaved, injured or responsible for terrorist acts found solace in the bottle, with consequences which are only now becoming apparent. There is also the fact that, unlike cigarettes, the price of drink has got cheaper in recent times with the entry of supermarkets and cut-price alcohol into the marketplace. It is ironic that a potent drug can be sold legally to anyone aged 18 or over for a large part of every day, six days a week. Anyone reading our story today of a woman whose brother, at the relatively young age of 57, requires round-the-clock care because of the ravages of drink, cannot fail to be moved. We often imagine that alcohol abuse affects only the liver, but its deadly tentacles can reach other vital organs and set in motion potentially lethal diseases, such as various forms of cancer. While it is obvious that we need more facilities to help those in the throes of alcohol addiction - which has as potent a grip as any drug - we also need to take a more holistic approach towards reducing demand in the first place. In Scotland a minimum price policy on alcohol was introduced in May and that is a debate which needs to take place also in Northern Ireland. However, the absence of a devolved government means that potentially life-saving debate cannot yet take place.